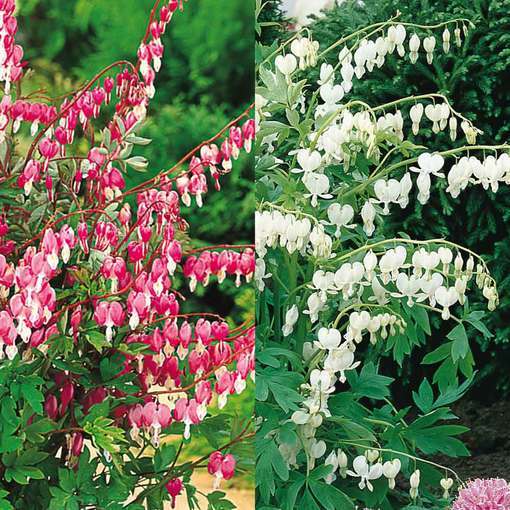 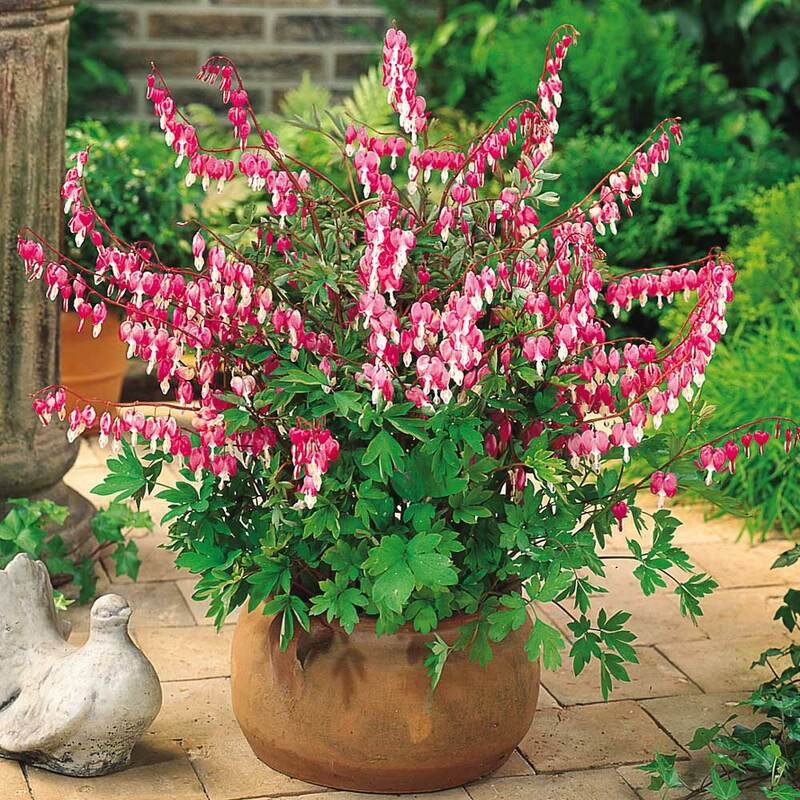 Bring together these fabulous Lamprocapnos or 'Bleeding hearts' for a spectacular display in early spring. 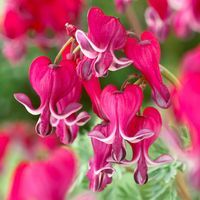 Many arched sprays of heart-shaped flowers are produced from April until June. 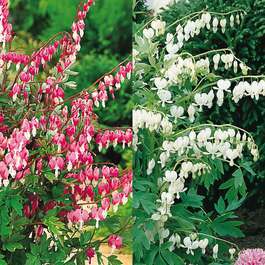 (fuchsia pink and white) and Dicentr The collection is for three each of Ddicentra spectabilis a spectabilis Alba (white). 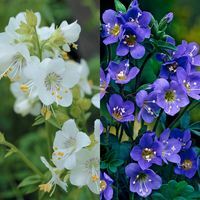 Both hold the Royal Horticultural Society's Award of Garden Merit and are great for the bed or border or pots on the patio. 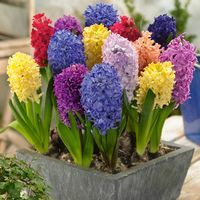 Height 60-75cm. 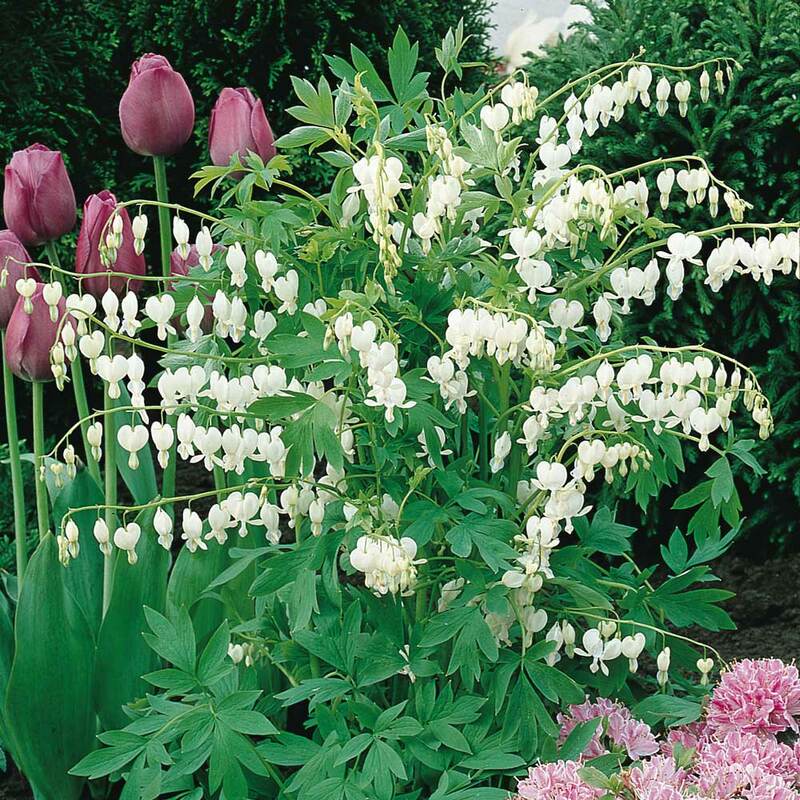 First grade loose root plants supplied. Best to position in full sun, but can also tolerate partial shade.